Before YouTube, nobody could’ve imagined how willing people would be to destroy their insides as a means of entertainment. We’ve watched men gorge themselves on cheesecake, scorch their tongues on hot wings, and nearly suffocate to death after eating what’s literally the hottest pepper on the planet. 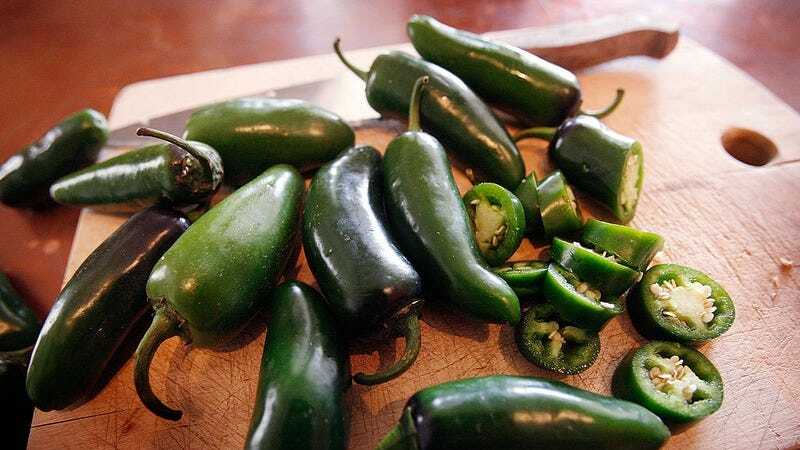 The peppers in the below video may not be the hottest in the world, but bite into enough of them and they’re bound to start feeling as if they were. And that’s exactly what happens when this kid decides to eat one every time Ariana Grande says “um” during an awards acceptance speech. His reasoning for the stunt is vague, though one could assume he’s sending a message to Grande herself, who could really do to work on the number of interjections in her extemporaneous speech. Needless to say, the ums are abundant, and watching this kid devour so many peppers in swift succession quickly goes from funny to horrifying as tears fill his eyes and juice drips from his mouth. “Words can’t not [sic] describe the amount of pain I experienced after turning the camera off,” he wrote in the video’s caption. Next time maybe just use one of those peppers to cover a song by her? Just stop eating them, for the love of god.